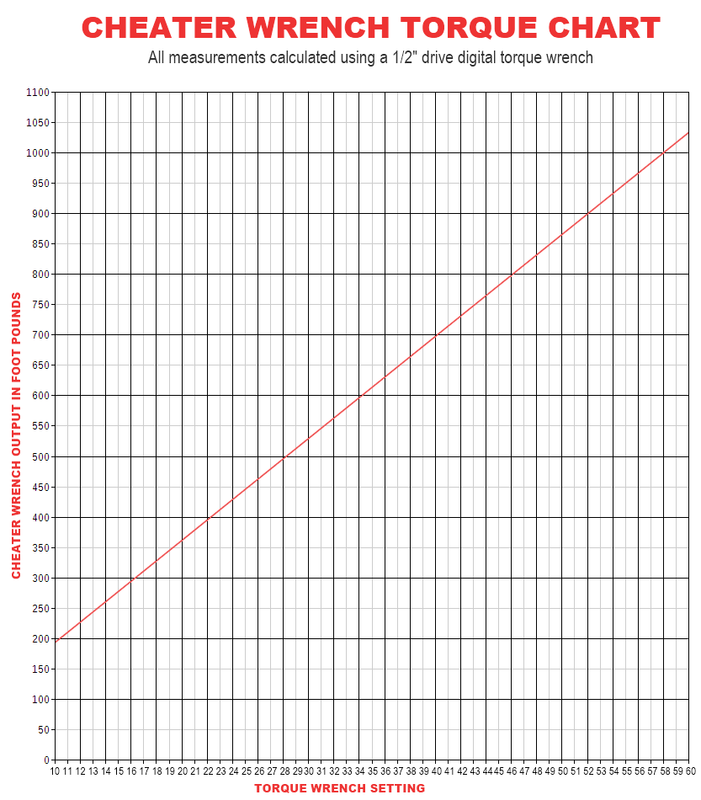 The Cheater Wrench™ includes four 1″ drive sockets: 41mm, 38mm, 33mm and SQ 21mm. It also comes with a socket extension which is a 1″ female to 1″ male adapter to help you get at lug nuts in deep wheel wells. 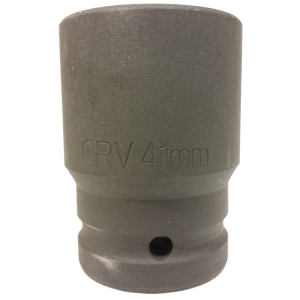 But we also carry other 1″ drive socket sizes as well as different socket adapters to help you get the most out of your Cheater Wrench. 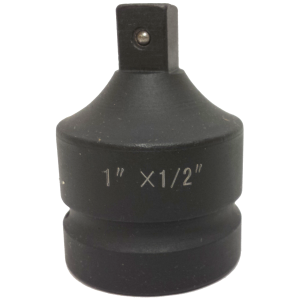 We have a huge variety of 1″ drive socket sizes to choose from. We carry most sizes from 17mm all the way up to 60mm. We offer the following metric sizes (SAE equivalents listed when applicable): 60mm, 55mm, 50mm, 46mm, 42mm, 41mm, 38mm, 36mm, 35mm, 34mm, 33mm, 32mm, 30mm, 27mm(1-1/16″), 22mm, 21mm, 21mm SQ, 19mm(3/4″), and 17mm. 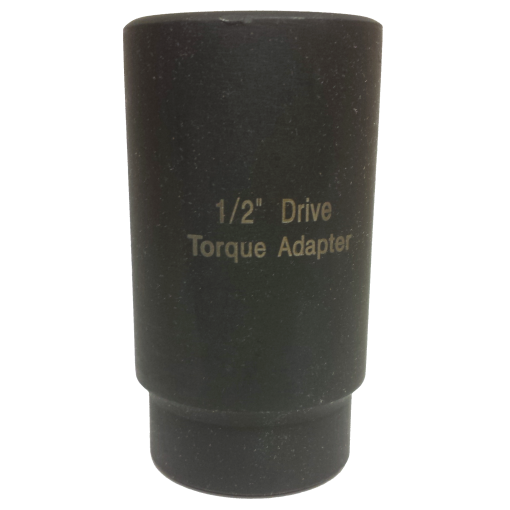 We call this 1/2″ female to 1″ female socket adapter our torque adapter. After using the Cheater Wrench to loosen and remove a lug nut, you can use this adapter to get it back on using a 1/2″ drive torque wrench. You can reference our torque chart to see how to set your lug nuts to spec. We call this 1/2″ female to 1″ male socket adapter our speed adapter. After using the Cheater Wrench to loosen a lug nut, you can use this adapter with our drill bit adapter to quickly run off your lug nuts with a power drill. The speed adapter and drill bit adapter are sold separately. Pictured here is the drill bit adapter with the speed adapter. 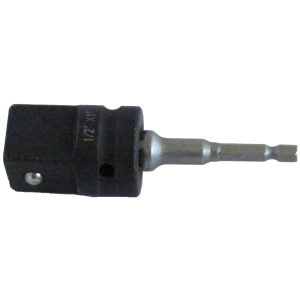 The 1/2″ drive goes in to the speed adapter while the drill bit goes in to your power drill. Together they allow you quickly and easily take off your lug nuts. 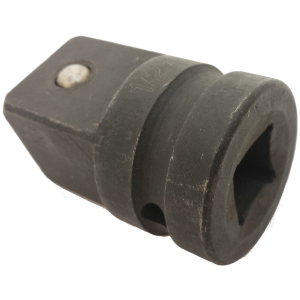 Our 1″ female to 1/2″ male socket adapter is perfect for light trucks or smaller vehicles. This adapter allows you to use the Cheater Wrench with 1/2″ drive sockets.